Get down with your whole family! We now have tons of opportunities for the entire family to practice yoga: PRENATAL, BABY&ME, KIDS YOGA, and FAMILY YOGA.Family yoga is the best yoga! It is an excellent tool for families to move together mindfully, breath, relax and have fun. So bring the kiddos and get your yoga on. Meet other future mamas and get your yoga on ODD style. Improve circulation, ease digestion, maintain a healthy spine, strengthen your uterus and pelvic muscles, and feel at ease throughout your pregnancy. For all stages of pregnancy – get your bump to class! so bring it to yoga! And it’s ok if you need to change a diaper, because this class is baby friendly. Get down with your little one in a fun and supportive environment. 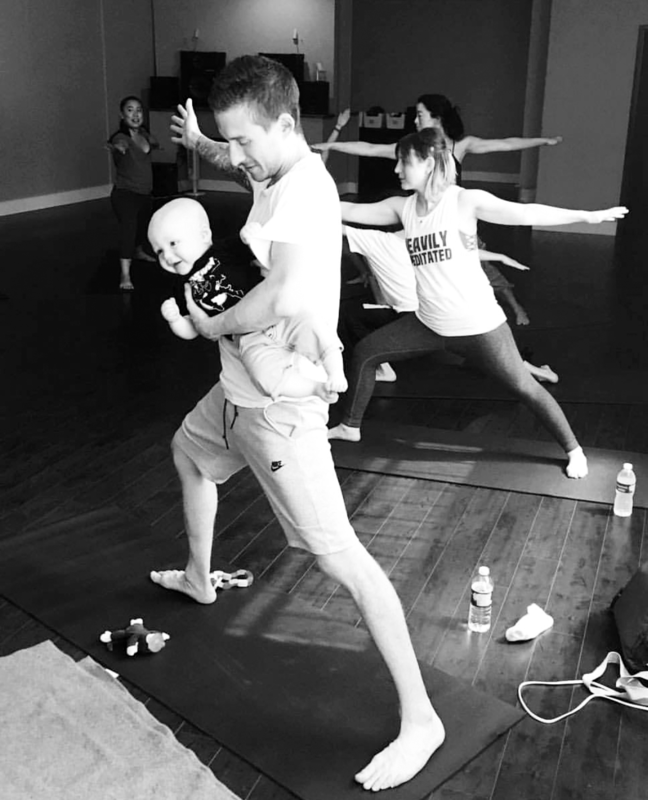 Bond with your baby while experiencing all of the benefits of yoga. This class is super laid back – we do what we gotta do to care for our babes and care for ourselves on and off the mat. Bring your little one, some toys and snacks and get ready to get down, dog. Get down with yourself and your small human kiddo in this super fun, playful, silly class. We’ll work on our down dogs, tree poses, cat/cow and so much more with fun songs, story time and partner playtime. 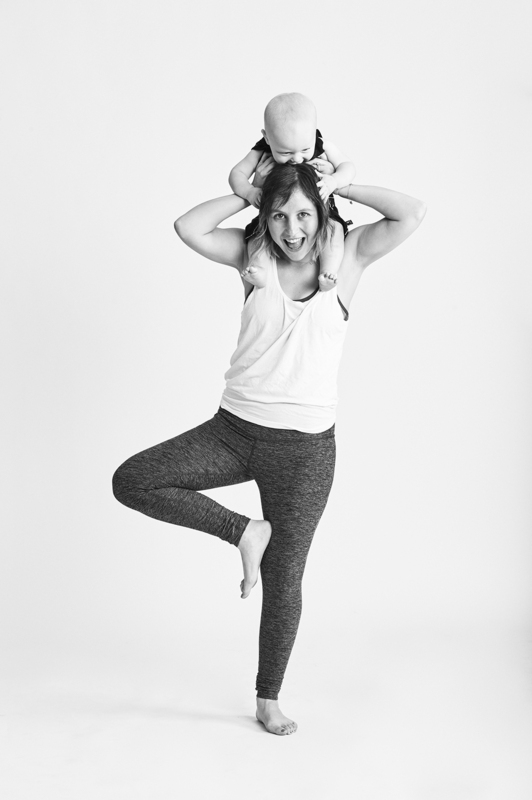 Bond with your toddler, while experiencing all of the benefits of yoga and community. 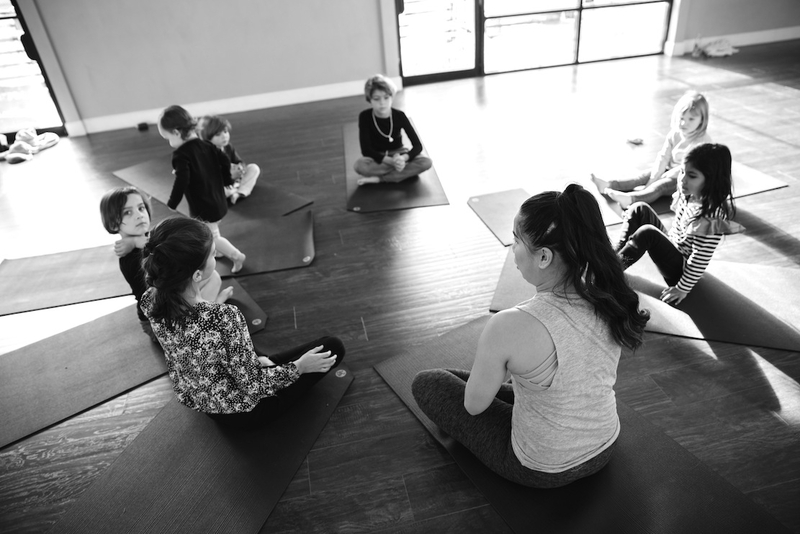 In this class, your little yogi will improve their coordination, focus, confidence and flexibility while developing their mind-body connection in this fun and engaging yoga class. Kiddos will practice the basics of yoga through the use of playful games, visualization, breathing, meditation and accessible yoga postures. All are welcome, join at any time. GET DOWN with the WHOLE family! 1st Saturday of every month! Bring your fam (all ages welcome) for some yoga fun on a Saturday afternoon! Tune in, connect with your crew, and enjoy a playful and relaxing practice together. There will be music, maybe some dancing and lots of laughter while we breathe, flow and play some yoga games. 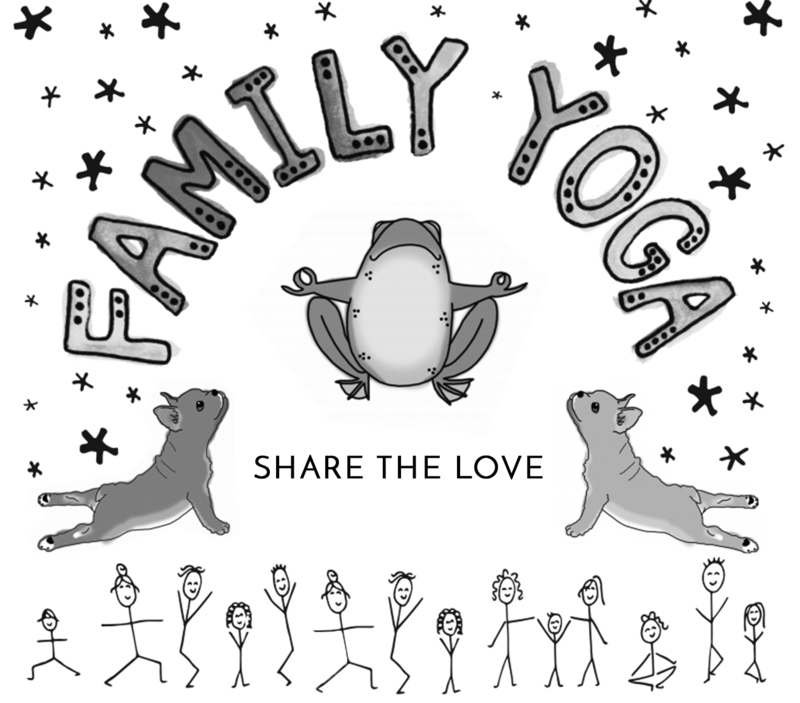 Yoga is an excellent tool for families to move together mindfully. All ages welcome!